Home automation is also called domotics. Domotic systems can be installed in houses or flats. In other cases, such as offices and other buildings, these systems are called inmotics. New technologies allow us to make our homes more comfortable. Security and safety can also be enhanced. Our contractors are duly licensed to install domotic systems. During the installation process, they will comply with all valid regulations and carry out the installation as indicated in the project specifications designed by the responsible engineer or technician. Our staff and contractors will at all times comply with relevant regulations on health and safety. In all cases, licensed home automation specialists will be responsible for carrying out the installations. Finally, to meet all legal requirements, every installation will be duly certified and documented accordingly by means of a technical report. Systems for more energy efficiency: e.g. optimizing air conditioning systems, disconnecting equipment of non-proprietary use according to energy consumption at a given moment, utilizing certain equipment only at hours when reduced energy prices apply. Systems for more comfort: e.g. 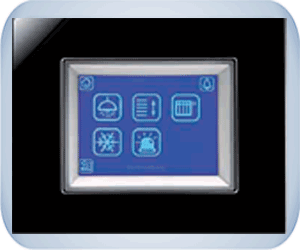 complete automation of all equipment and systems you wish to control from within your dwelling (doors, blinds, lighting, sound etc.). Security systems: e.g. intruder detection, video surveillance, videophones, movement sensors, alarm systems, leakage detection. Telecommunication systems: e.g. personal distribution network for videos, music and internet in the entire dwelling, protection against intruders. Accessibility: improving the quality of life of disabled persons in their homes and offices. 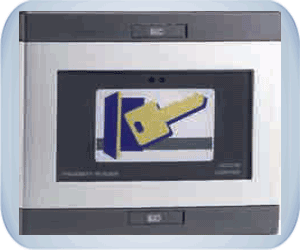 All automated equipment can be securely controlled via TV, touch screen, cell phone, PDA, remote control or personal computer. Please feel free to contact us in case you have any questions about domotic systems or wish to consult with our installations department.